We’re proud to bring our vast experience in the education sector — K-12, continued education, and higher education — to the table to improve and facilitate the learning and teaching experience through comfortable settings. We installed Alerton systems throughout Truckee Meadows Community College’s multi-building campus. The control systems give their facilities staff the ability to operate and manage the mechanical systems efficiently, controlling more than 1,000 HVAC mechanical units. 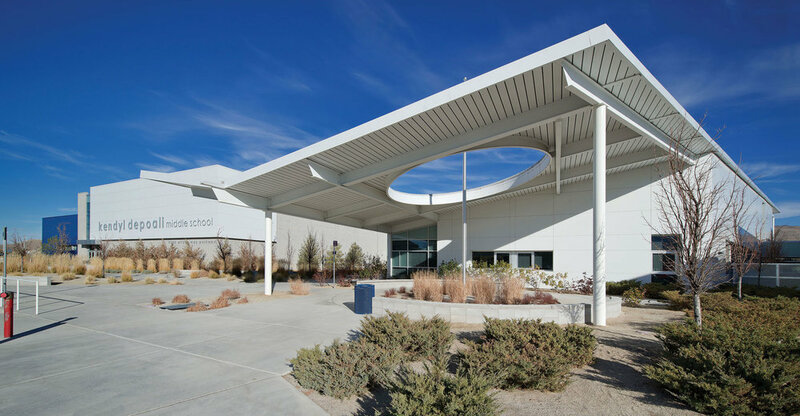 Located in the South Meadows neighborhood in Reno, Kendyl Depoali is one of Washoe County School District’s newest middle schools designed to be cost-effective and energy and water efficient. Our team connected the geo-exchange heating and cooling system into the overall building controls, and this geo-exchange system is now a standard component for the district. We met the school’s objectives of increased temperature control, ventilation regulation, and energy management through the replacements of the entire controls system at Bishop Manogue Catholic High School. The result was a healthier air environment for the 700 students enrolled.